Dave Coverly celebrated the Silver Anniversary of Speed Bump this past week (April 4?, 1994). Gainesville radio station WDUN joins James Allen in celebrating the Sunday Mark Trail being nominated in the National Cartoonists Society‘s first Variety Entertainment divisional award. “So I submitted to the variety and entertainment category, and for the first time in its 73-year history was at least to the point of being nominated, has been recognized by its peers,” Allen said. While Dodd and his successor Jack Elrod both won awards for the 73-year-old comic strip, they had not won an award from the NCS, Allen said, making the nomination even more of an honor. 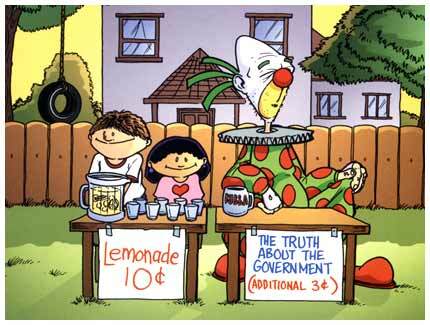 Never mentioned in any articles about Judd anymore is what, in my mind, he will always be famous for—the creator/cartoonist of Frumpy the Clown. The last works of Randy Glasbergen were found in his office as the family were sorting through items on his desk after his unexpected passing in 2015. The contents of this book are a compilation of new cartoons in just about every topic Randy wrote and drew about. Randy’s intention was to add these cartoons to his extensive online cartoon catalog. Rather than adding these cartoons to the catalog, the family decided to release them in book form as a tribute to his legacy in cartooning. 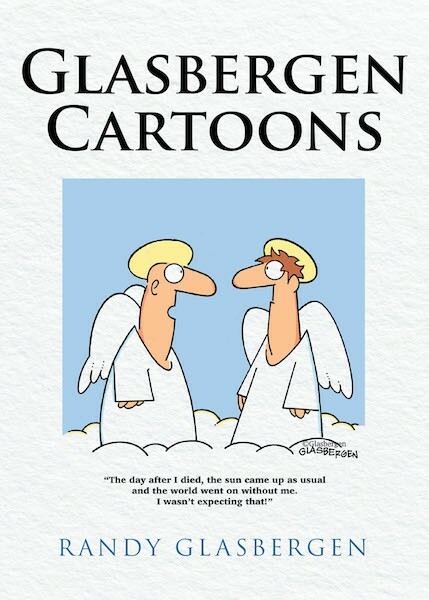 Digital Journal reviews the posthumous collection of Randy Glasbergen cartoons. The caesar is turning 50 years old this year. Since its invention in Calgary in 1969, the drink has made leaps and bounds in Canada’s culinary history, being recognized as one of the most iconic and most polarizing drinks, and incomparable hangover cure…Here are some short stories from a few recognizable Canadians [about the caesar]. 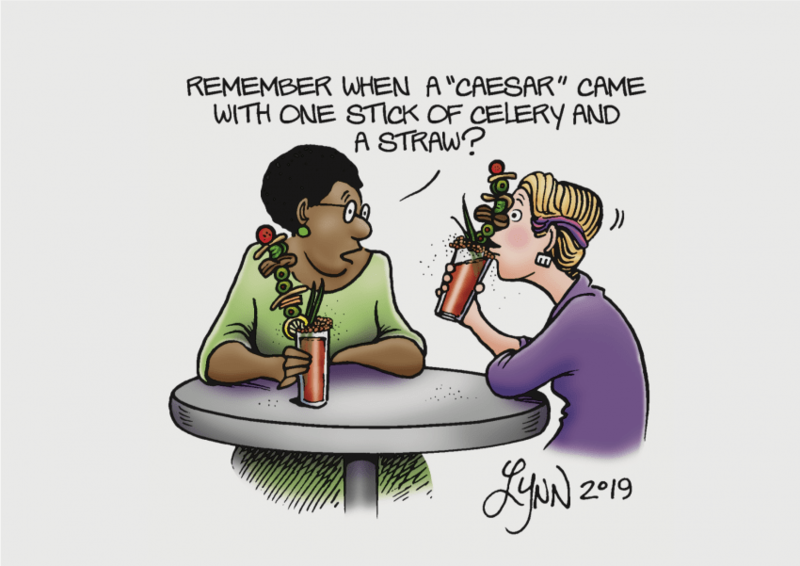 As the creative mind behind the famous comic strip, For Better Or For Worse, Johnston‘s most memorable Caesar moment comes in true cartoon-style. After ignoring cartoonists in the first 100 Jokes… entry, Jesse David Fox and Vulture include three here. 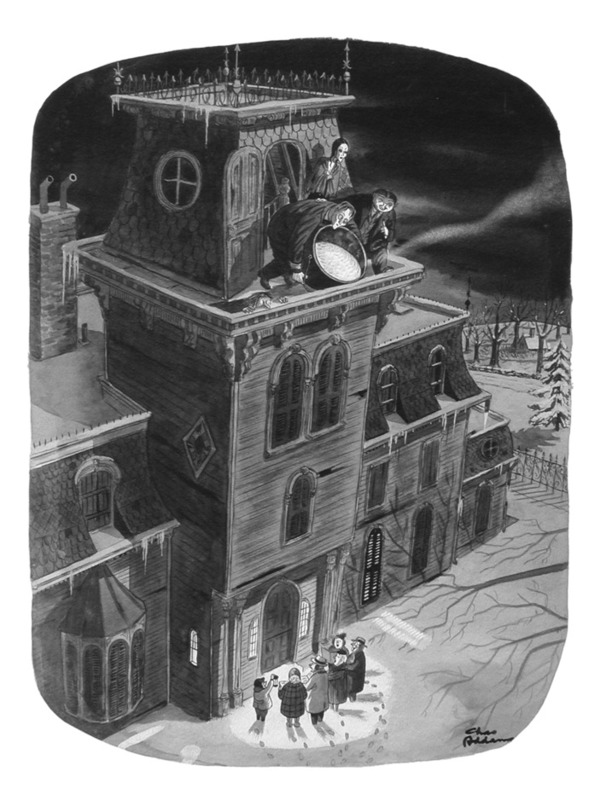 Charles Addams, Charles Schulz, and try guess what Gary Larson Far Side cartoon Fox picks. amNewYork interviews Bob Eckstein on the release of his Ultimate Cartoon Book of Book Cartoons. Those who read certain weekly magazines specifically for the cartoons may be overjoyed to learn about a brand-new anthology. “The Ultimate Cartoon Book of Book Cartoons” by NYC-based cartoonist Bob Eckstein focuses exclusively on works about bookstores and the literary world at large through the work of 33 cartoonists, including Sam Gross, Roz Chast, Liza Donnelly and Bob Mankoff. 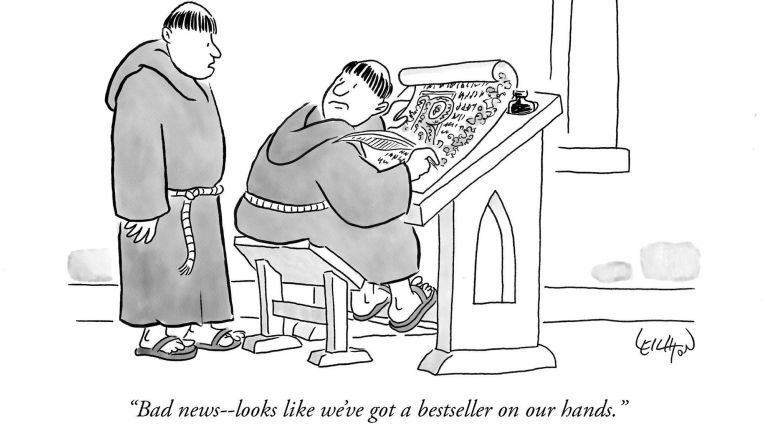 Some cartoons have been previously published in The New Yorker [and other magazines], while others are exclusive to this new title. 27 queries in 0.188 seconds.